What is happening at Highett? 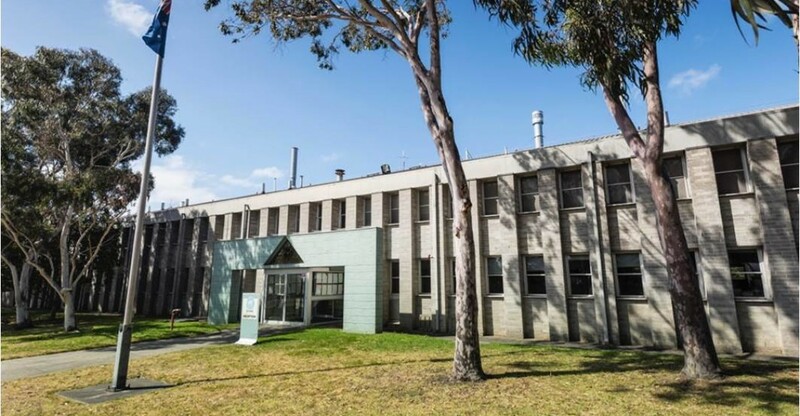 CSIRO is planning to sell part of its former research site at Highett. CSIRO will gift 3 ha of the site to the community for conservation of the Highett Grassy Woodlands through an agreement with Bayside City Council. CSIRO will also gift 1 ha of the land to the Bayside City Council for public open space. The remaining 5 ha of the site is being cleaned up and remediated to ensure the land is safe for its intended future use when sold (expected in 2019). Why is CSIRO doing this? As a long time part of the Highett community, CSIRO has opted, through an agreement with Bayside City Council, to give back to the community through conservation of the Highett Grassy Woodlands. As a responsible property owner, CSIRO is ensuring the remainder of the Highett site is in a safe condition prior to selling the property. This includes removing any potentially hazardous materials located on the site. Why is CSIRO selling the site? CSIRO plans to sell a 5 ha part of the site as per Commonwealth property disposal policy using an open market process. Sale of this part of the site follows the consolidation of CSIRO activities to other sites in Victoria. So far works at Highett have included demolishing buildings and safely removing materials like asbestos, lead paint and concrete from this area in line with current requirements and regulations. Further works are underway to remediate soil on the site so that it is safe and fit for future use. Will trees be conserved or removed? CSIRO understands that trees are highly valued by the local community and is avoiding tree removal where feasible. This commitment led to CSIRO’s agreement to give the community 3 ha of the site for Highett Grassy Woodland conservation. CSIRO has also engaged an independent arborist. Initial arborist assessments of the project area revealed that some trees may need to be removed to ensure the safety of the local community. Some of these trees were located in close proximity to the buildings being demolished and 10 additional trees on the western boundary of the site have been identified for removal following discovery of soil contamination in their root zones. Why do these 10 trees need to be removed? During the site remediation process, soil testing by the expert hazardous materials contractor found loose asbestos material in the soil around a group of trees on the western boundary. The Environmental Auditor has advised CSIRO that, in order for the site to be made safe for its intended use, remediation works must include removal of contaminated soil on the site including around the base of approximately ten trees located in the area. Arborist advice indicates that soil removal in the root zone of trees will impact tree roots, resulting in the trees becoming unstable and therefore unsafe. CSIRO is committed to remediating the site and protecting community safety by removing these trees, in line with expert advice. CSIRO expects to carry out tree removal over the next month. What is the contaminant in these soils?? In the soils, various in-ground services include mainly non friable products (some containing asbestos) for example, fibro cement pipes, pits, and fibro cement sheet fragments from the original buildings. How is the contaminant removal process being managed? As part of the remediation works and to ensure public and community safety, hazardous materials within the buildings, utility services or soil have are being managed and removed under controlled conditions to the highest level. CSIRO has engaged specialist hazardous materials removal companies to assist in the demolition and clean-up works. These companies are qualified and experienced in removing hazardous materials in close proximity to houses and have or will put appropriate measures in place to ensure the safety of the local community. How will you ensure the community is kept safe during the works? -Erecting fencing around the work area. -Engaging an independent asbestos assessor to assist in the removal of hazardous materials. -Erecting signage around the site to inform workers and the community which areas are safe to access. -Using traffic management to direct workers and the community safely around the worksite and local area. -Performing dust and noise monitoring during demolition works to ensure they comply with Australian Standards. – working closely with the appointed contractor to minimise impacts on staff and the community. CSIRO has engaged an independent licenced asbestos assessor to monitor the removal of hazardous materials and ensure this work is completed in line with current regulations and WorkSafe requirements. This company is experienced in removing hazardous materials in close proximity to houses and will put appropriate measures in place to ensure the safety of the local community. Setting up exclusion zones within the Highett site. Using air-monitoring devices to assess the surrounding environment. Air monitoring will be conducted in line with Australian Standards and WorkSafe requirements. Placing guards over stormwater drains. Setting up a decontamination zone to clean-up equipment and machinery used during the works. Inspecting the site daily to ensure it complies with all relevant legislation, regulations and compliance codes. How do you know that it is actually safe? WorkSafe has made numerous visits to the site to confirm that activities and work is carried out to safe industry standard and Independent accredited air monitoring has found no detectable airborne risk. How has CSIRO been communicating with the community about the project? CSIRO has been regularly communicating with the community about the project since the second half of 2015. Our communication with the community has included through face-to face meetings, letters, newsletters, doorknocks, this public website, FAQs and feedback hotline and dedicated email. We provided 10 community updates during 2018 covering various topics related to the works in progress. Where can I get more information about the project? If you would like more information about the project, please contact a member of the project team on 1300 363 400 or email highettworks@csiro.au.